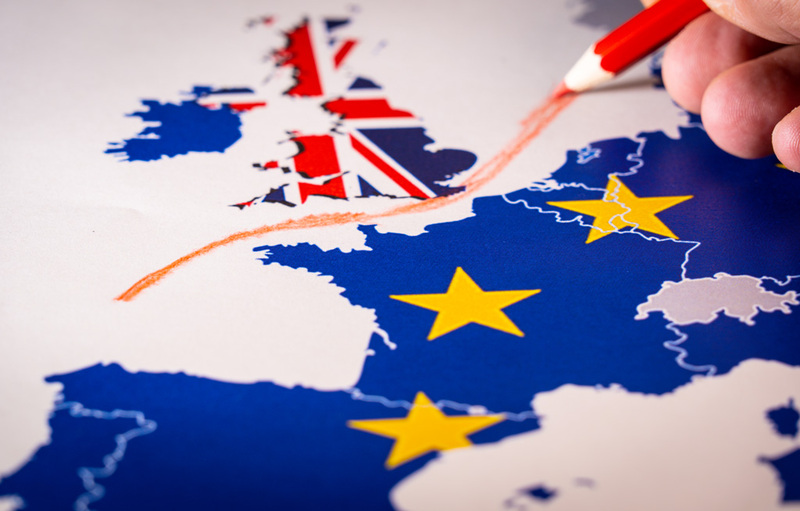 Brexit is somewhere around the corner, but rather than focus on the politics let’s look at the practical implications for logistics in businesses trading with E.U. countries. More checks and documentation could mean delays at ports and borders and that’s why industries running stock free manufacturing, such as the car industries, are planning production breaks. I could argue that using a modern approach to the theory of bottlenecks would mean this could be avoided but we are dealing with government departments – and unfortunately our goods will move at the rate of the slowest step in the process (bottleneck), which will probably be inspections by U.K. & E.U. government officials: we had better plan for delays. You, your suppliers and your customers may well set up businesses on either side of the channel. This is probably the biggest impact in the short term as it will take time for some things to be agreed in government circles. However, in business circles, decisions can get made very quickly. Indeed, one of the biggest changes we have already seen in U.K. based companies that trade with Europe is the setting up of new divisions in Europe, this being seen by many as the easiest way to ensure access to both U.K. & E.U. markets. This allows the company to make intercompany transactions more easily, moving goods and services around inside their business without too much restriction – and many companies have already taken this step. This has the added advantage of a U.K. business trading with U.K. based customers and an E.U. business trading with E.U. based customers. You should look out for this in the coming weeks and have a plan ready as it may well impact your business from now onwards. U.K. & E.U. governments may well need us to let them know what we have sold and to who. This could mean changes to our statutory reporting systems which, depending on the data structure we have, could be easy or difficult, especially if the fundamental hierarchy is changed. Then there is the more complex issue of year to year comparisons and different reporting requirements from two different statutory bodies. Unfortunately, the most effective way to deal with logistic issues and delays can be to build buffer stocks, essentially to make up for products stuck in transit. This will push up working capital and product costs. Having spent the last years eliminating waste from the supply chain, some industries are not set up for much stock if any at all. Lean, Just in Time or Kaizen production models all aim to eliminate waste and stock. So much for becoming a Six Sigma Black Belt. Changing business processes: Manufacturing, Purchasing, Warehousing, Supply Chain and Delivery processes will all need updating. Product Data: data in our SAP and associated systems including product data, warehousing, lead times, routings, traffic management, purchasing and production data. Resourcing: All these areas of change require skills in areas that are already in limited supply. I expect demand, and therefore costs of these resources, to increase in the coming months as skilled resources will be in high demand.